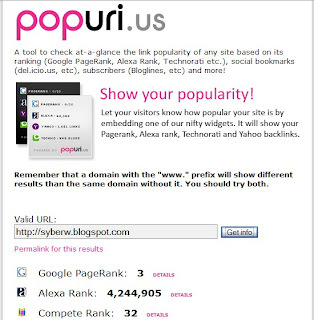 Popuri.us is a web tool that checks link popularity of any site based on its ranking (Google PageRank, Alexa Rank, Technorati etc. ), links of social bookmarks Del.icio.us, subscribers on Bloglines. Simple add any website click "Get info" bar, it shows you detail at once.